Goliath (B&M Hyper) and La Vampire (B&M invert, Batman: The Ride clone) are the two best coasters in the park. Don't miss Dragon which is hidden in a building in a corner of the park. Operations on Goliath are great but many of the other coasters suffer in this capacity so a Flash Pass is highly recommended on busy days. 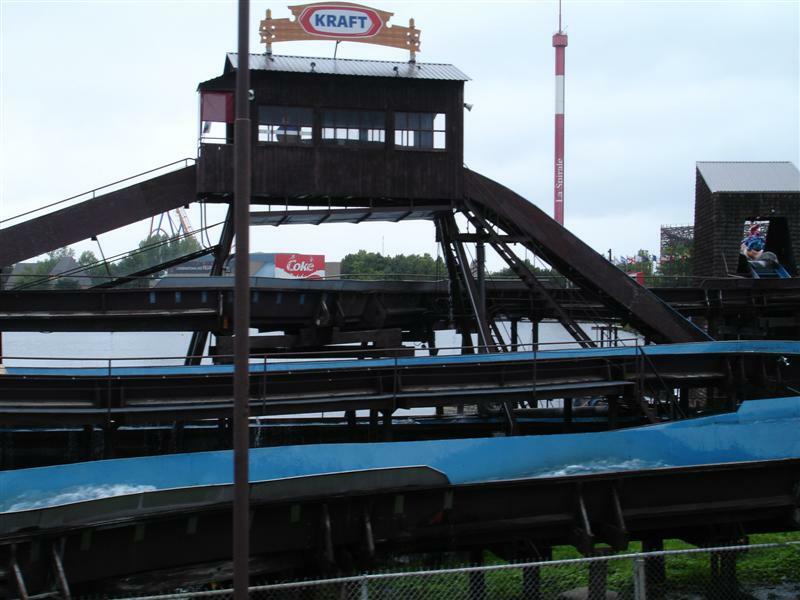 If you don't get a Flash Pass, make show to ride the low capacity Toboggan Nordique (Wild Mouse) early in the day. 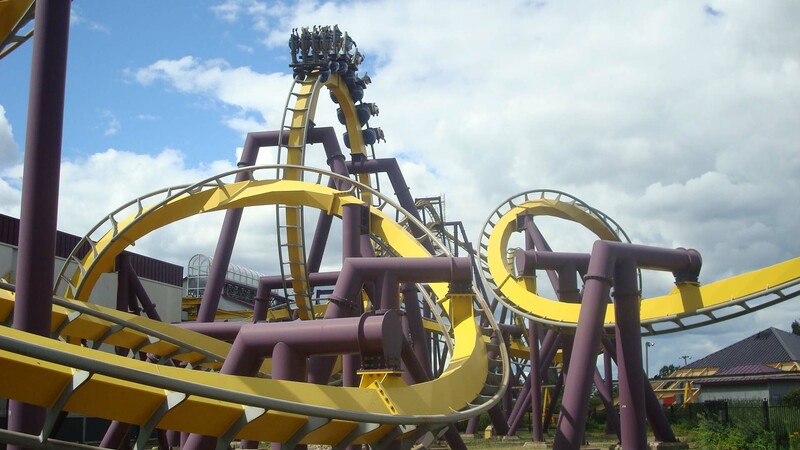 Sure you could get all the coaster done without the Flash Pass, but LaRonde has a good selection of flat rides to enjoy including: Orbite (Space Shot over lake), Disco Ronde (Breakdance), Manitou (Claw), Condor, Tornade (Top Spin), and Tasse Magiques easy to spin Tea Cups with a long cycle. There are two Subways and one McDonalds in the park. 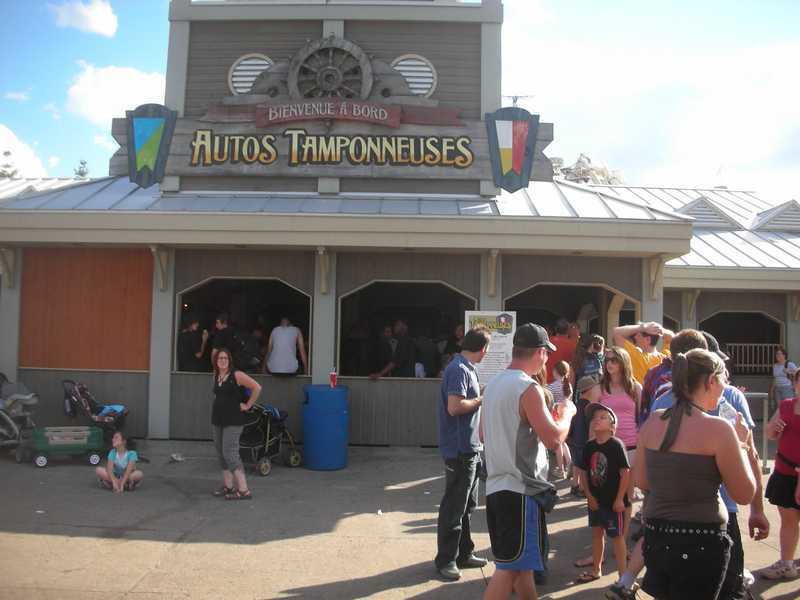 Most traditional amusement park food items can be found: hot dogs, hamburgers, pizza, chicken fingers, sandwiches or taouk (Shish Kabob) but don't miss the opportunity to try some French Canadian specialtites: Poutine (fries and cheese curds covered with gravy), Queues de Castor/Beaver Tails (Canada's version of fried dough) or Crepes. The two latter treats can be topped with Nutella, fruit or sugar. 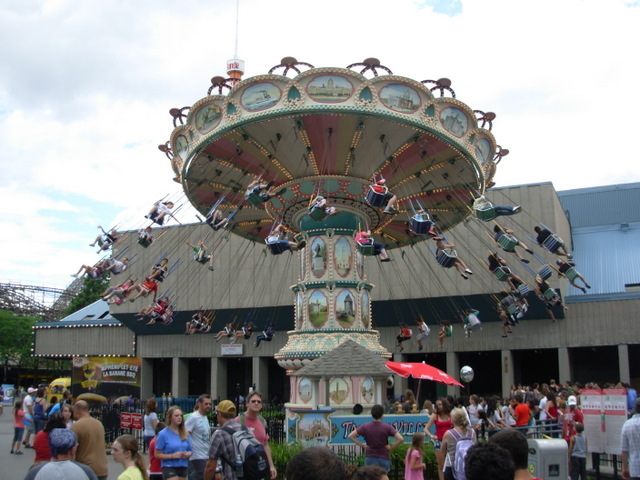 The park usually opens with weekend operation in late-May. 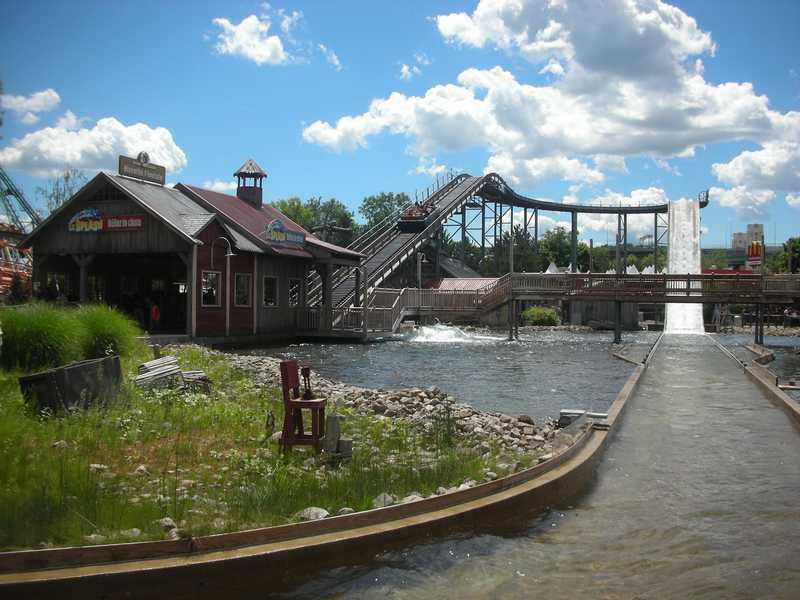 The park is open practically daily June - August, which weekend operations returning in September and October. 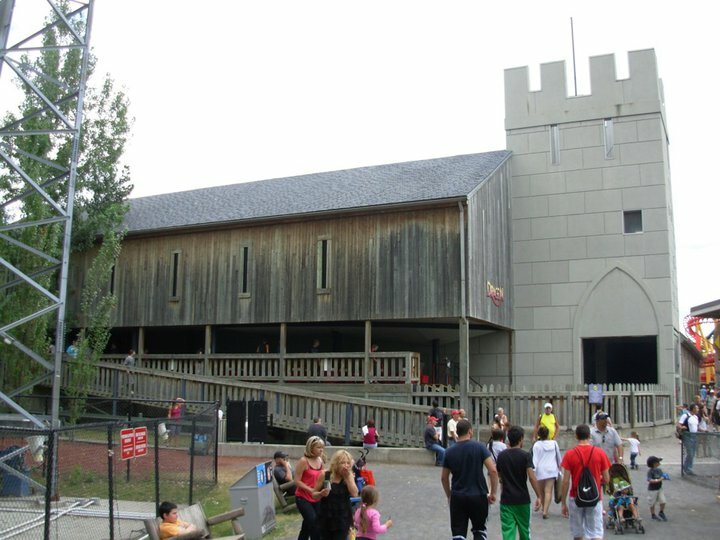 Fright Fest occurs during weekends in October. The park is on an island just outside downtown Montreal. 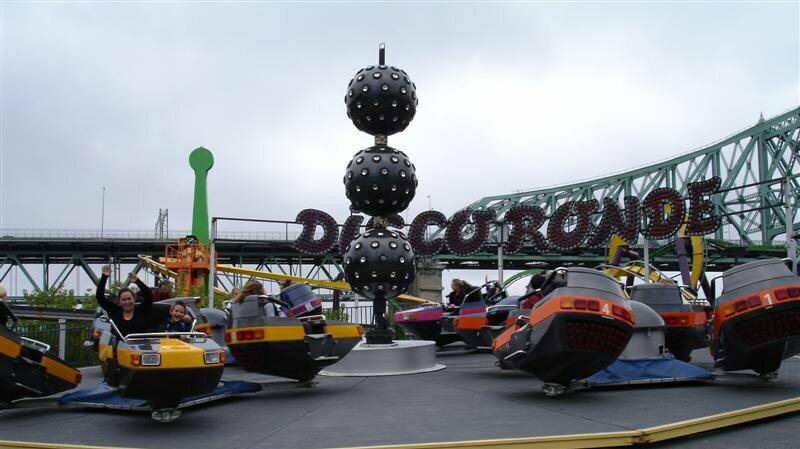 If driving when you get to Montreal you will want to exit Highway 20 at the Jacques-Cartier bridge; once on the bridge, exit at Parc Jean-Drapeau and follow the signs for La Ronde. 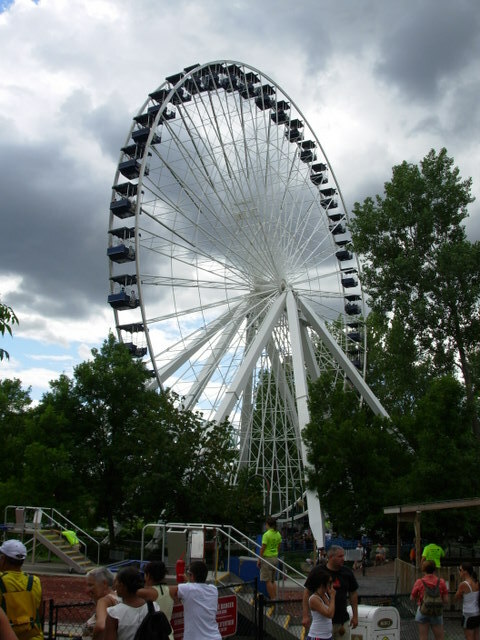 The park is easily accesible by public transportation by taking the Metro to the Jean-Drapeau Station and then the 167 La Ronde bus or taking the Metro to Papineau Station, and then the 169 La Ronde bus. The park's website lists many partners hotels where guests are eligible for admission price discounts. 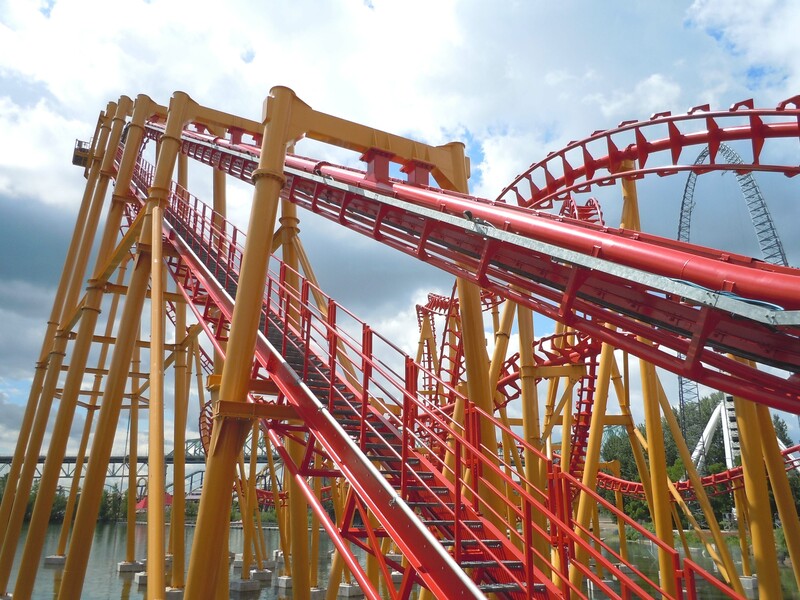 Three levels of Flash Pass are available and can be used on all the major rides. At Scene de Ribambelle, characters from a children's show perform four unique shows daily. On select Wednesday and Saturday nights the park hosts a fireworks show. 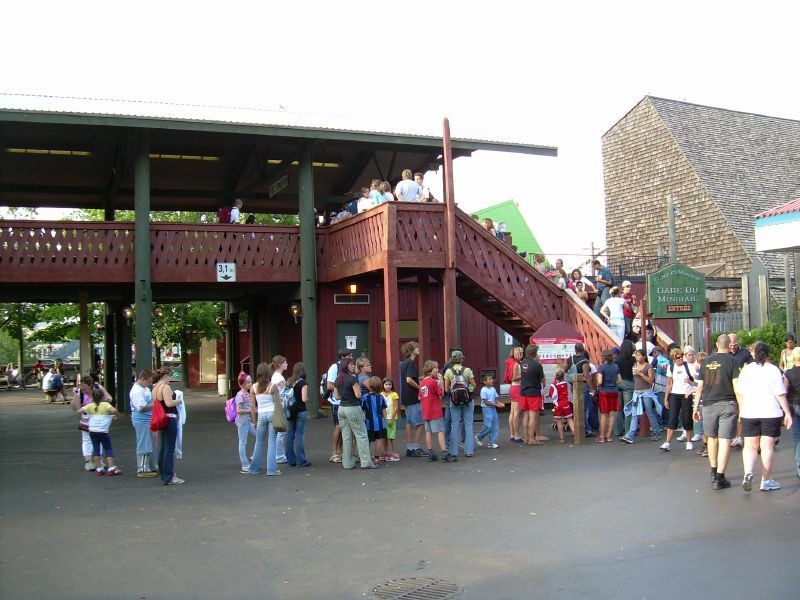 The parks also has standard music, dance and magic shows at different locations. 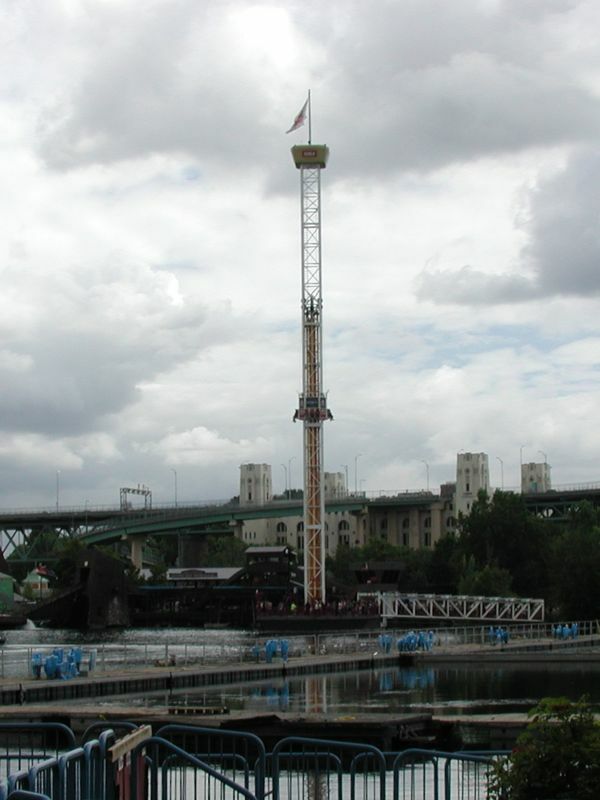 La Ronde grew out of the 1967 World's Fair (Expo 67) and is situated on a island within Montreal. The park is one of the few in North America that is easily accessible from a major city. 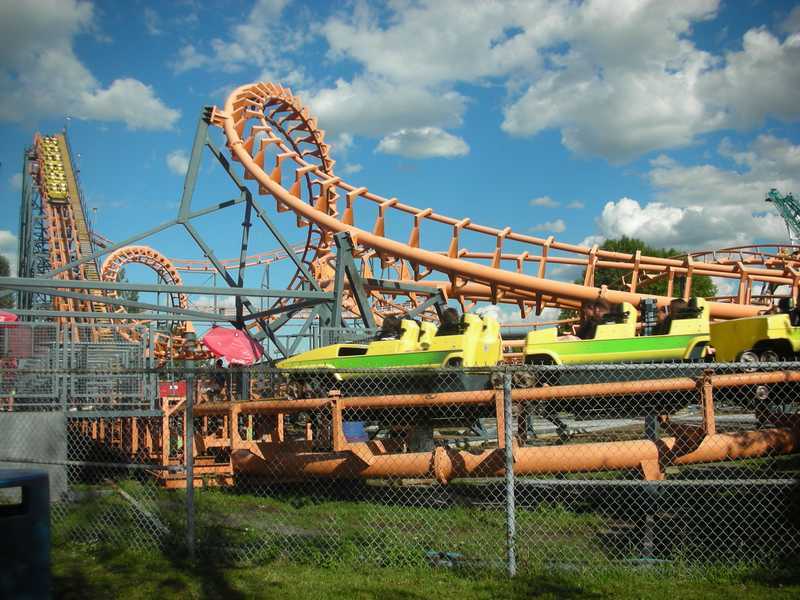 Most of the park's nine coasters are mediocre with two noticeable standouts, Goliath and Vampire. 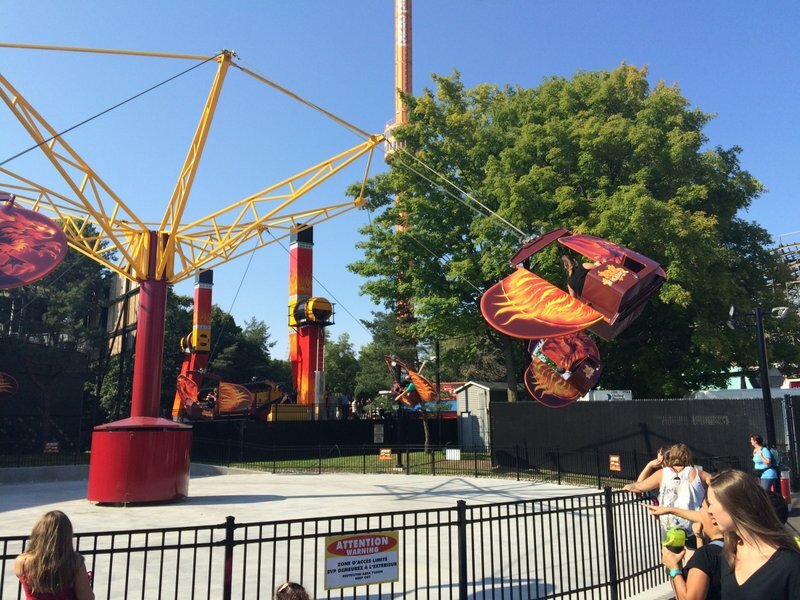 The park also provides a quality lineup of flat rides that are both thrilling and family oriented. Americans need not be worried about the language barrier, as many employees are willing to help English-speaking Americans. However, a laissez-faire attitude among some employees slows down operations to a degree. The major problem here in Montreal is that our park is on an island. The park cannot expand its land anywhere, it's stuck on a tiny island. 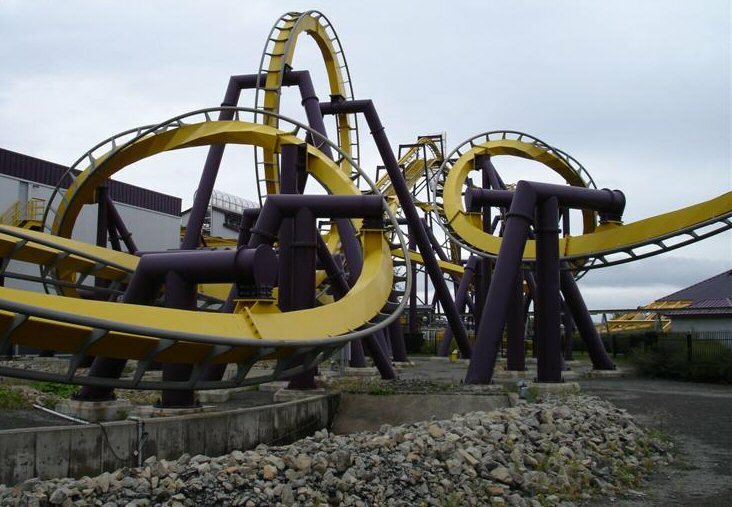 So their only options are to buy preset rides, such as the batman clone (Vampire), the boomerang, Ednor (Vekoma SLC), the old intamin stand up, and more. 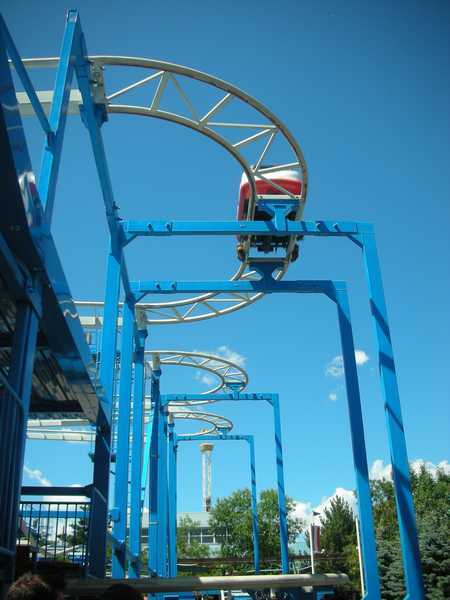 They will not / cannot get a big big coaster other than the Goliath, the only good ride there. 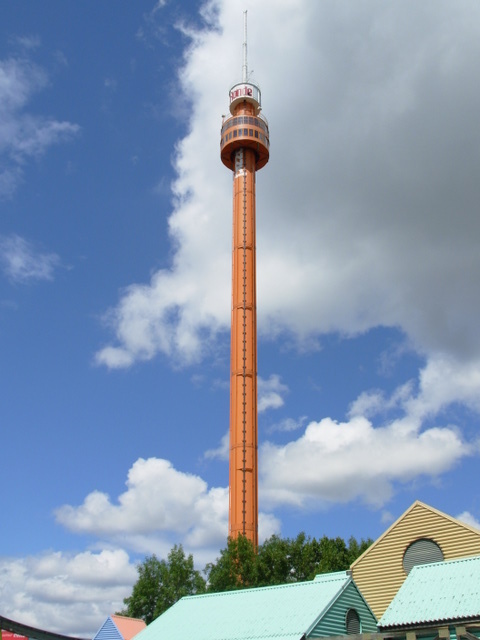 It's an okay B&M hyper, not really tall, not really fast. 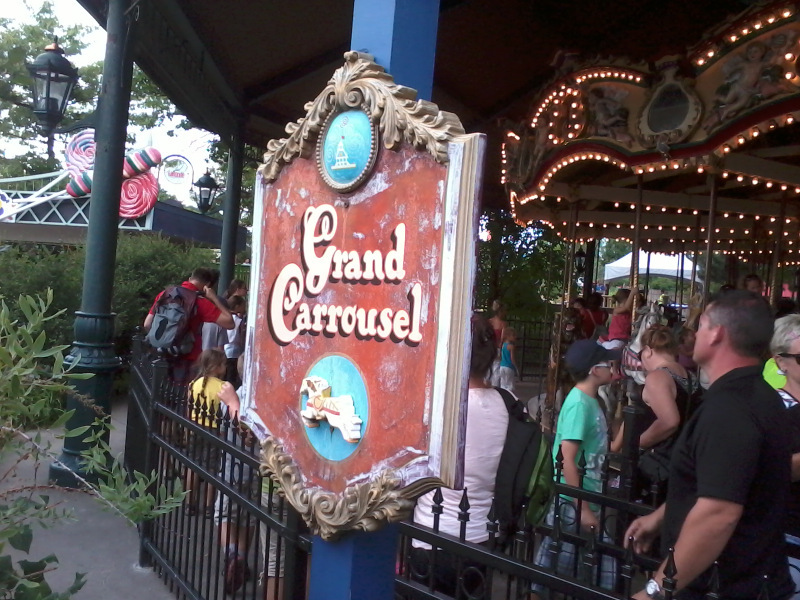 It gives a little thrill to the park, since there's nothing much to be excited about there. 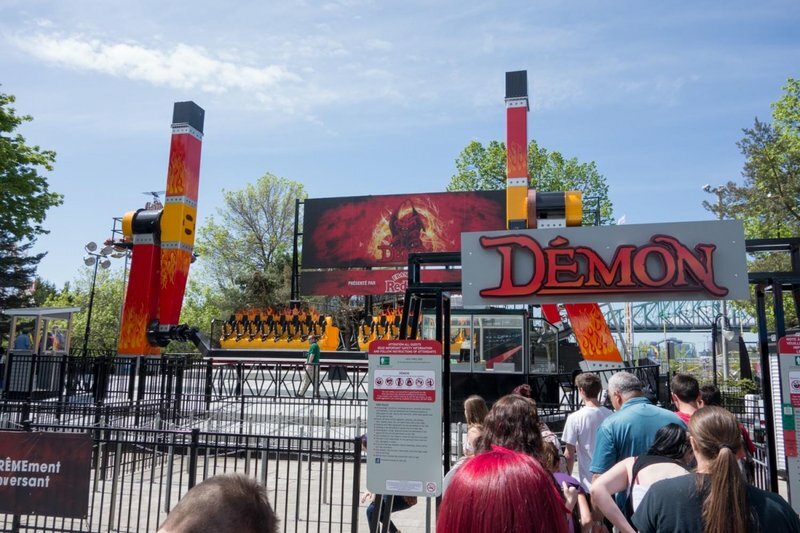 All I could tell someone who wants to visit this park is to never even think of traveling from a far place to visit this park, just go to Canada's Wonderland instead. 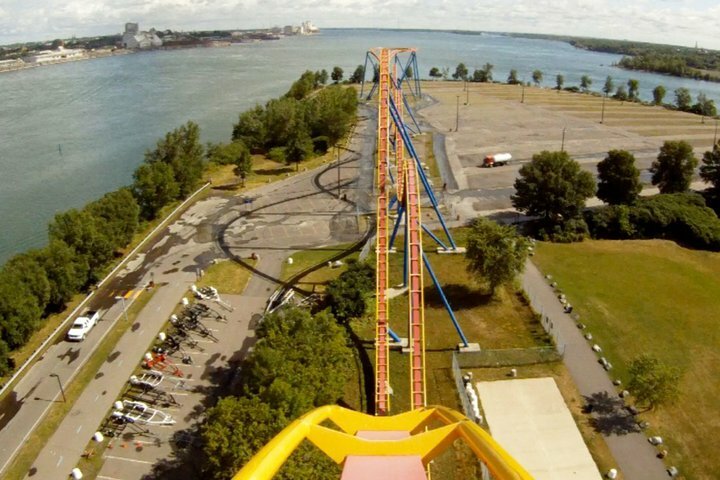 LaRonde just isn't worth it, it should die. I visited this park with my family in the summer and we had such a bad experience at the park, I wrote the park a letter to complain. We arrived at the park at 11:30a.m and the gates to the park were not even open yet when the park was supposed to open at 11. Then we went to the kids section and every ride was closed. They didn't open the kids rides until about 3 hours after the park opened. We went to Goliath and the entire line was filled, but they only ran one train. 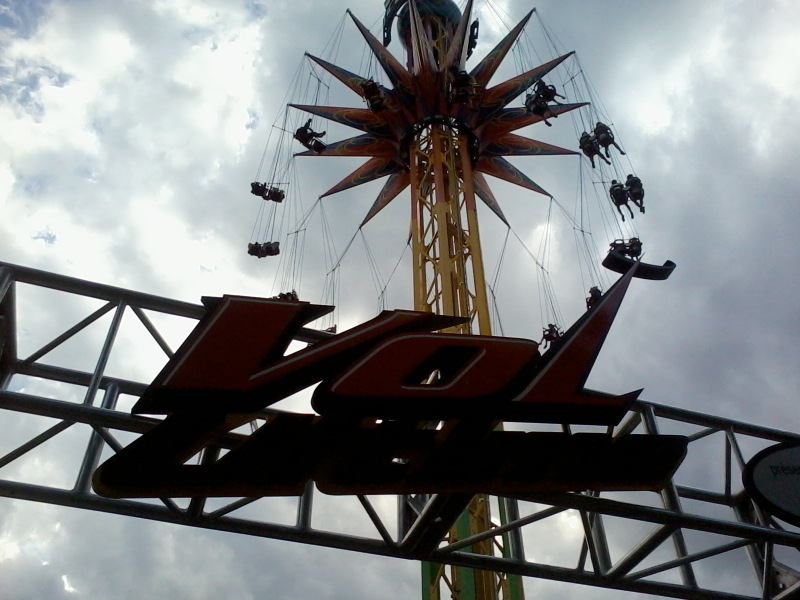 We waited for almost 3 hours to get on the rides. This also happened on every other major attraction we wnt on that day. The staff was also very rude and the people were too. 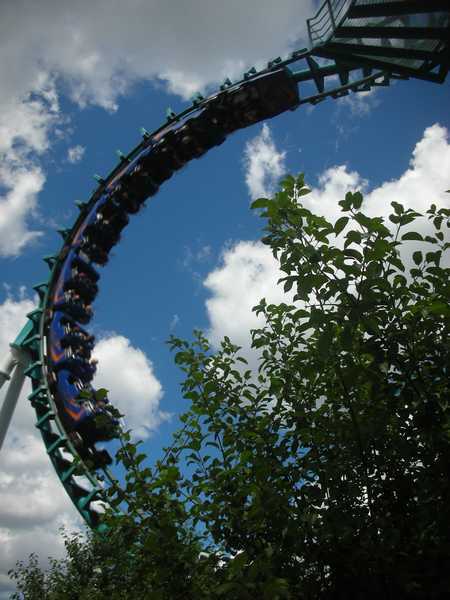 I would never go back to La Ronde. 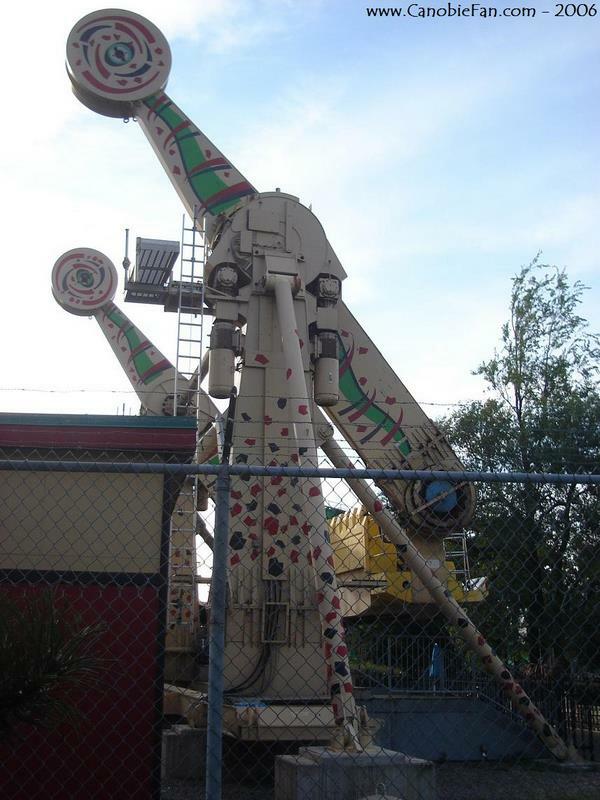 This was easily the worst of all the Six Flags parks I've been to. Overly crowded, lazy union workers, and what felt like a very dirty and uncared for park. It took us over half a day to get all the credits in once with Qbots, which are a must if you want any hope of getting them all in a day. The two good things this park has going is Crepes and Liqour being served. 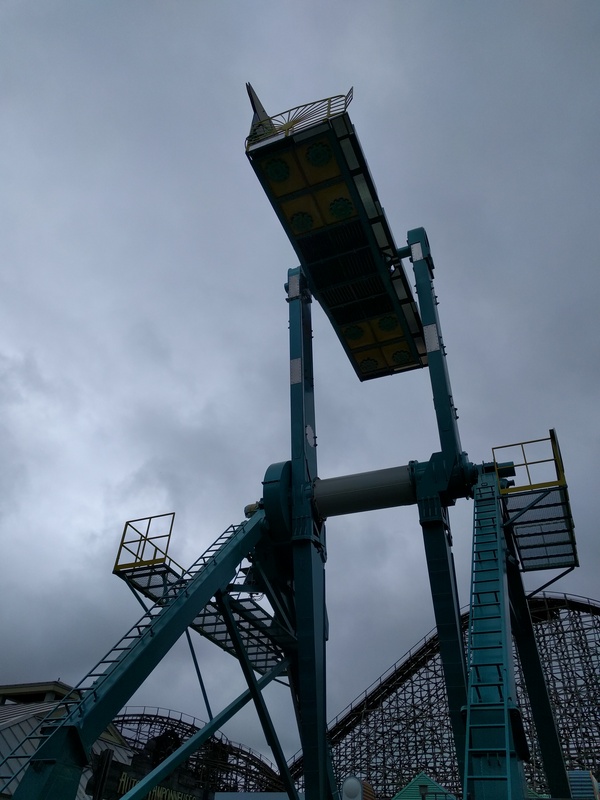 As far as coasters go, Goliath Is a decent ride, and their Batman Clone was hauling on our visit, and probably the best ride in the park was Dragon due to a bit of what the heck just happened to us feeling. 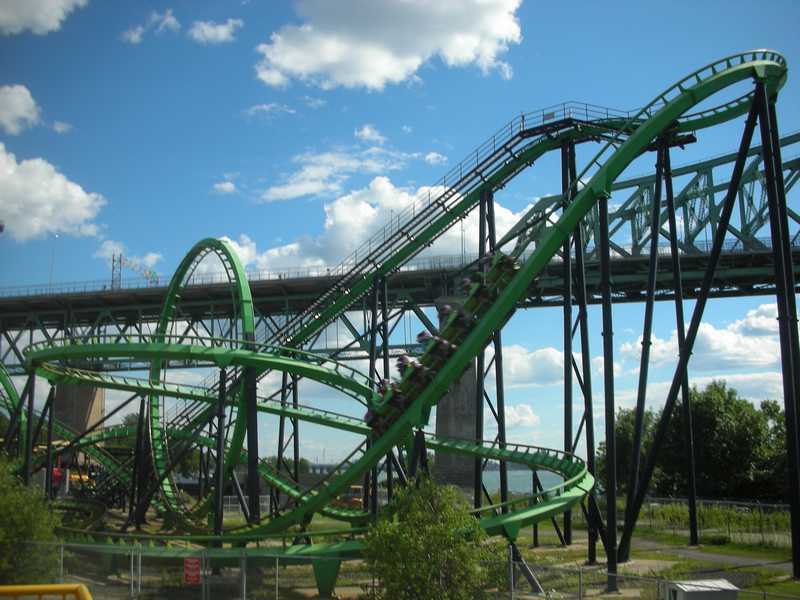 Basically La Ronde is going to have to install something amazing for me to even consider heading back. The park was an interesting place - I can tell you that. The workers seemed mildly interested in their jobs and positions. Management was decent at best - but seemed to reflect on the park and how it was ran. Workers only cared about their next break - shouted at me personally in French. Two of the three occasions I had no idea what was going on when the shouting began. Food and drink were moderately priced - could've been alot better. 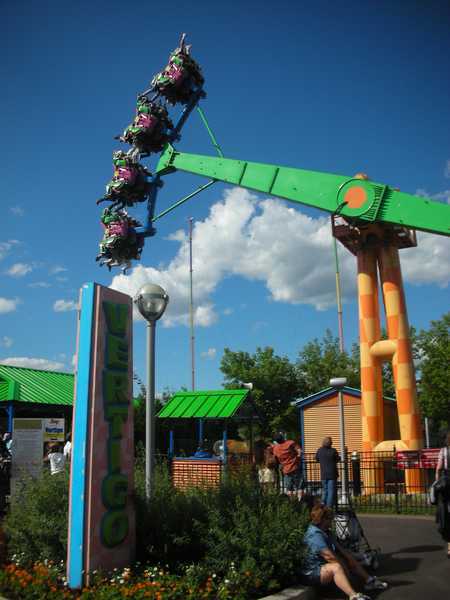 But, alas, it's Six Flags in the middle of a large metro area - like Elitch Gardens used to be. 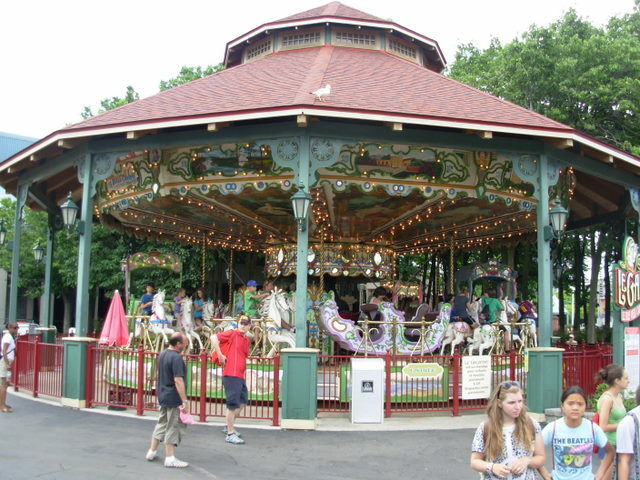 La Ronde reminded me of some European parks I've personally been to - only real nice positive I had about the place. Union workers, that says it all. They seem to be more concerned on when their next break is than they are loading a ride. 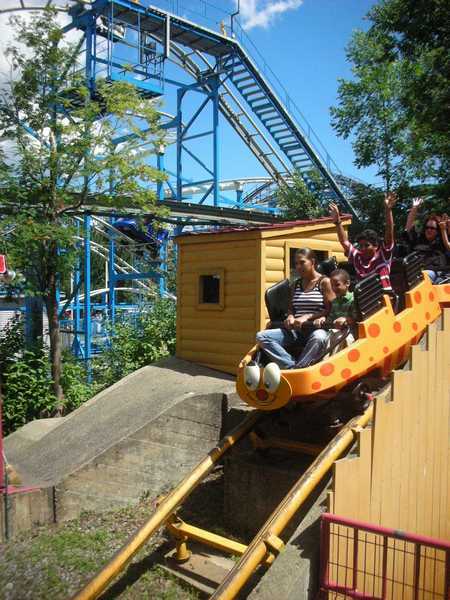 Moving a snails pace, you might be luck to get on Le Monstre with a flash pass, in under 90 minutes. The park itself is tidy, but it is Six Flags. Their beemers are nothing special and the SLC hurts. 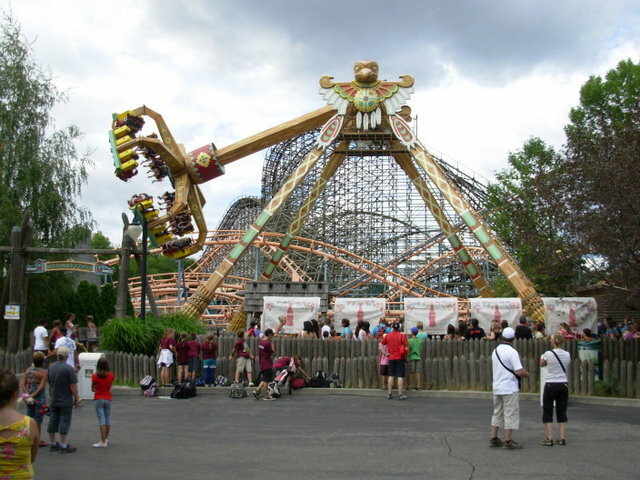 One thing to note, the boomerang does not operate for a few weeks during the season. Also due to the short season the park stays packed all the time, therefore a minimum of a gold flash pass will be required. So everyone says how easy it is to get to this park with the metro and all, but I think that's assuming you live in Montreal and know the system well. We found it to be very difficult to get to this park. Would love to see a resort on the island, would have made the vacation 100 times better. This is a good little park with fun rides, but plan on buying flash pass if on the weekend. 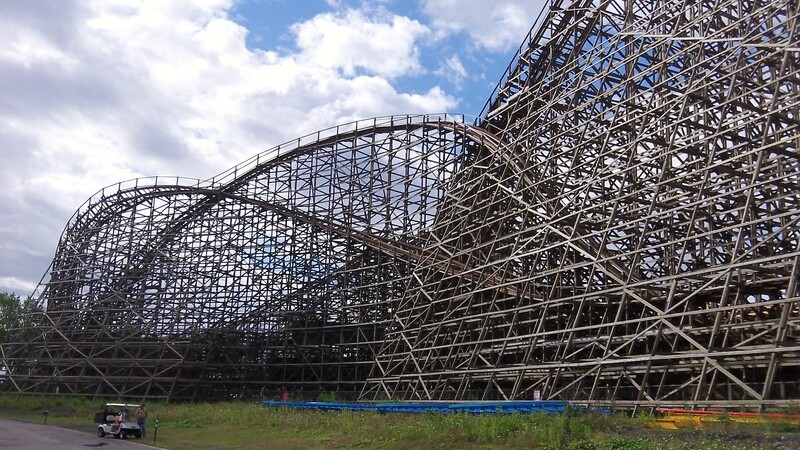 The wooden coaster has more gum stuck to it than one can imagine, but maybe that adds to the charm? Vampire and Goliath are top notch, while the stand up cobra and super menage should be put out of their misery. if you go on a fireworks night you will queue in traffic for longer than any coaster you've ever waited for. Overall, good with room for improvement. 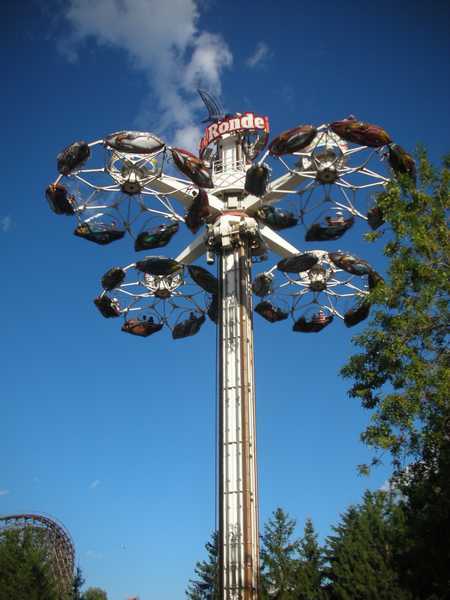 First thing to know about La Ronde is that it's a Six Flags park in Quebec. Thus, you have Six flags caliber staff who in many cases, can't (or won't) speak to you in English. But it's not a big problem. 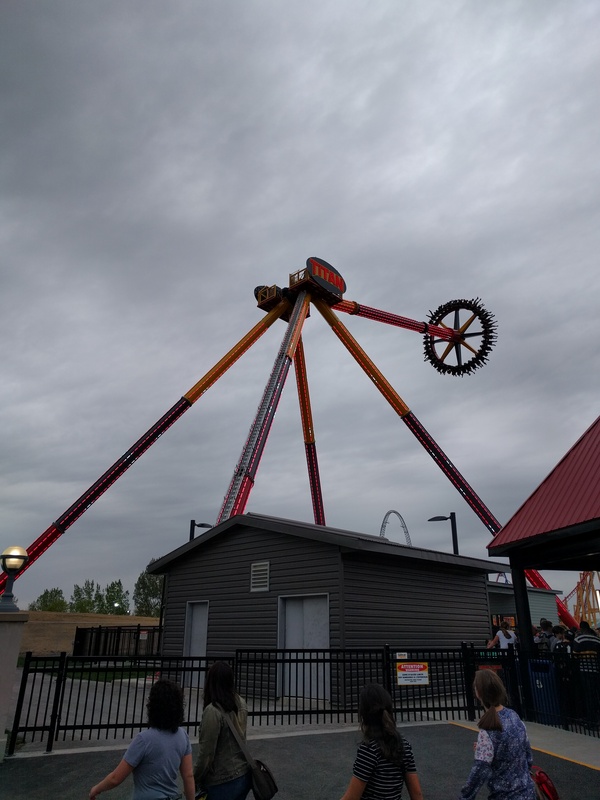 The rides at the park are between mediocre and great, rounded off by two amazing B&Ms (Goliath and Vampire), as well as a few others which are also good (Le Monstre), and a few which aren't that good (Ednor...), as well as a varied number of flat rides. 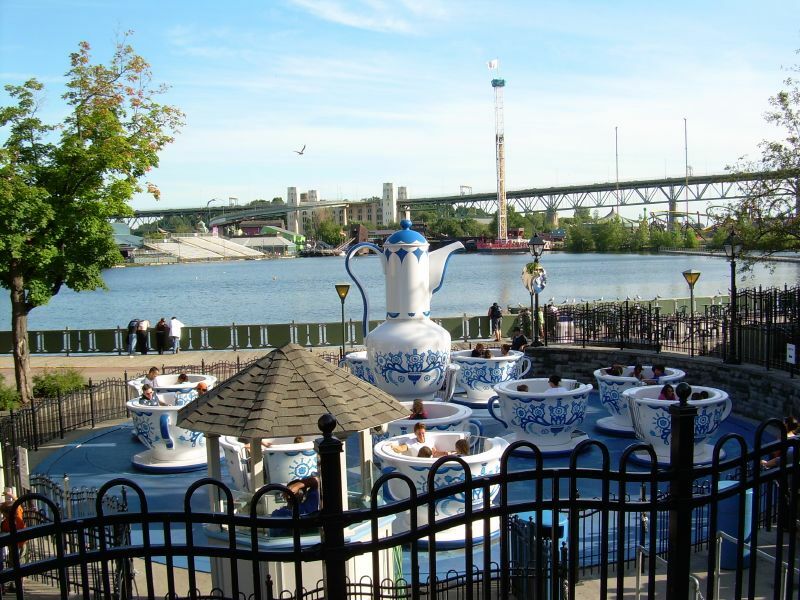 Food and drink can be expensive at this park, and is not priced competitively, however, the position of the park leaves this as a non-issue, being a very short metro ride away from downtown. 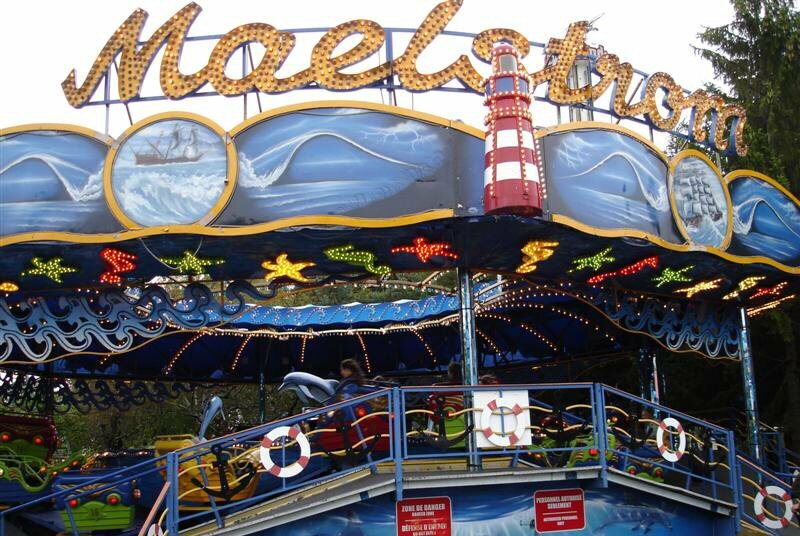 Overall a good park, with a few shortcomings in terms of staff and pricing, worth a visit. La Ronde feels somewhat like a poorly run Six Flags Park. 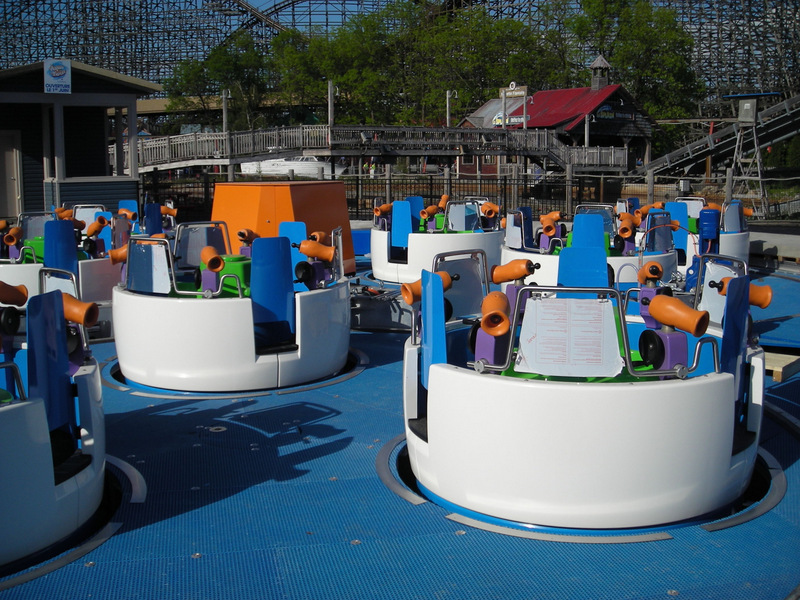 The park is notorious for operating only one train on coasters, even on busy days, and having lengthy dispatch intervals. 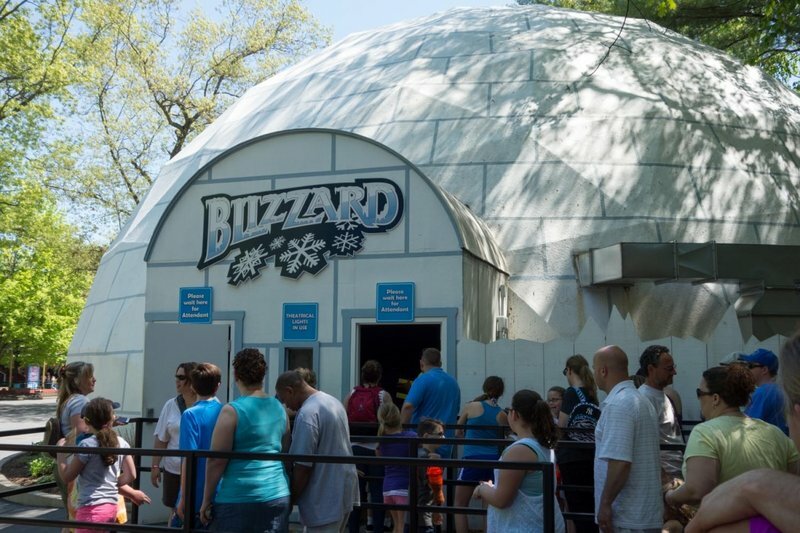 In general, I did not find this to be the case when I was at the park, but they did have very unusual operational procedures which caused delays on some rides. 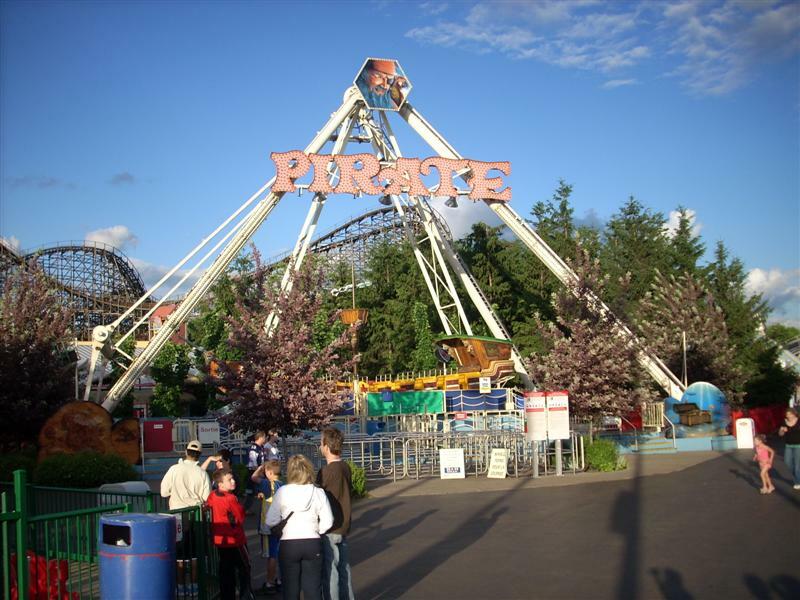 The park does have a good selection of rides, but with the exceptions of Goliath and Vampire the coaster selection is poor. There are also a number of things in this park you wouldn't see in American parks, such as hard liquor stands. If you are in the area, it is worth a visit, but be prepared to wait in lines and don't expect to get everything done in less than a full day unless you purchase a Flash Pass.